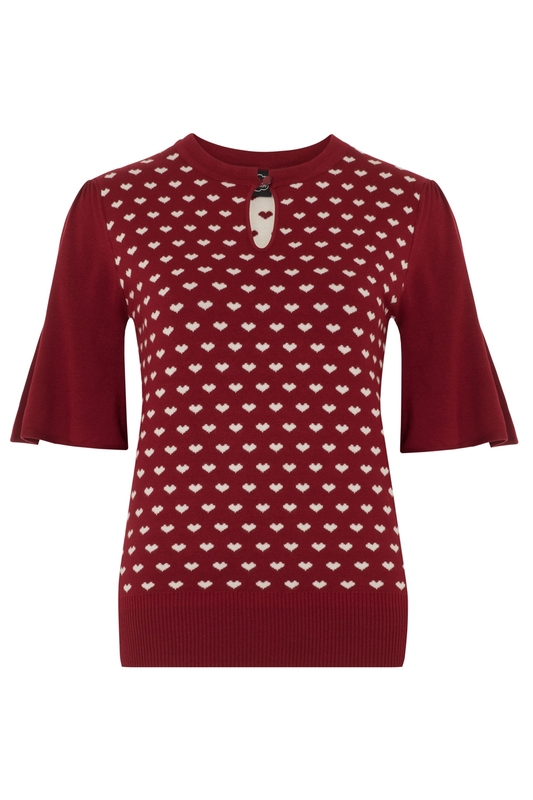 Okay ladies; now get your flutter on. 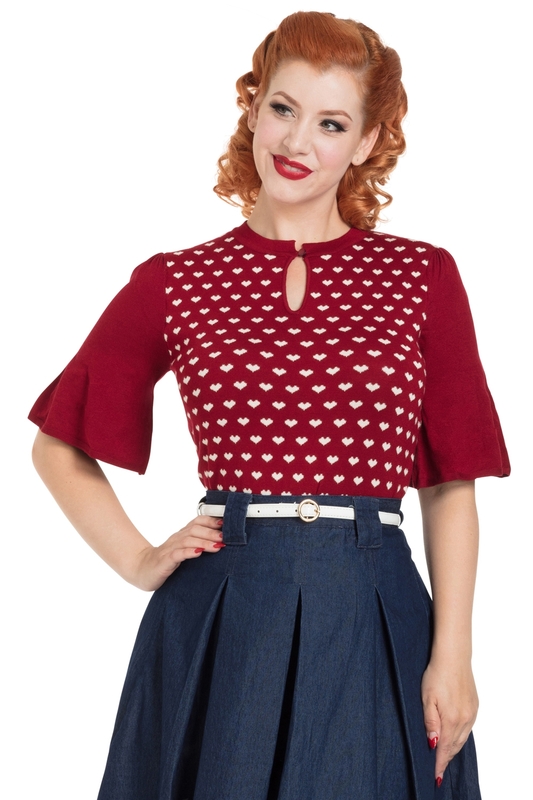 With its oh-so-cute flutter sleeves, Maggie is here and ready to float her way into your life and heart. 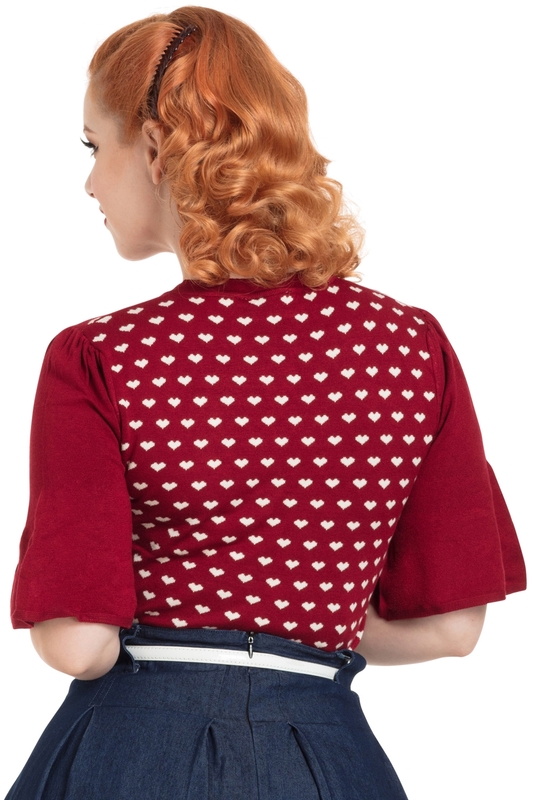 A delicate all over heart design and keyhole cut-out make Maggie the irresistible, vintage inspired sweater for any season. Love the look? Check out Shelley and Natalie for the same adorable sweater in Black and White!